A hernia is a bulge that forms when the organs of the abdominal cavity push out through a weak spot in the abdominal wall. The muscles of your abdominal wall are strong and tight enough to keep the internal organs in place; but muscle weakness, previous abdominal surgery or induced pressure in the abdominal wall may result in a hernia. A groin hernia is a bulge that forms when a part of the peritoneal sac (abdominal wall), which may consist of fatty tissue, intestine or other structures, protrudes and is visible or feel able in your lower abdomen or around your groin crease area. There are two types of groin hernia, femoral (which pass from the groin crease downwards – femoral canal) and inguinal (which start above the groin crease and pass towards the pubic area -inguinal canal). Inguinal hernias are the most common type of groin hernia and occur more frequently in men, as they follow the path of the blood vessels to the testicle (spermatic cord). If they become large they can pass into the scrotum. Inguinal hernia is also the most common hernia in women, as there is a ligament (round ligament) which mimics the spermatic cord. Femoral hernia is an uncommon type of hernia which has the probability of occurring in about 1 in 20 groin hernias. Femoral hernia more commonly occurs in women, mostly older women, because they have wider pelvises. In a femoral hernia, the path of the hernia is adjacent to the main blood vessels to the leg (femoral canal). Femoral hernia can sometimes manifest suddenly due to abdominal pressure while straining during constipation or while you push or carry heavy objects. Small groin hernias may not have any symptoms and can be observed rather than immediately repaired. In certain cases, even the bulge may not be visible with small hernias. However, moderate and large groin hernias may manifest as a bulge and can be associated with some discomfort. The pain or bulge may get worse on coughing or straining. Large hernias may cause pain when you exert pressure, while standing up or lifting heavy objects. Presence of these symptoms requires an emergency hernia repair to release the trapped tissue. Physical examination is the first line of diagnosis to test the external groin bulge. The bulge will be examined for its texture, size and protrusion. Your doctor will check for skin discolouration, inflammation or dark patches on the surface of the bulge to rule out gangrene (death of tissue). However, your doctor may find it difficult to feel the bulge if it’s small. If the hernia cannot be detected with physical examination, your doctor may order ultrasound of the groin. Other imaging tests such as diagnostic X-rays, magnetic resonance imaging (MRI) or computer tomography (CT) scan may be performed to check for the protruding issue. 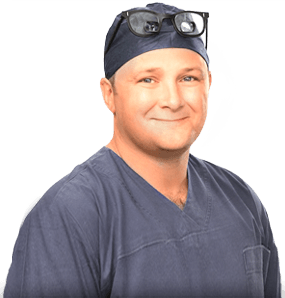 Surgical hernia repair is the mainstay of treatment groin hernias causing symptoms. Non-surgical treatments include close observation or the wearing of a truss (a type of belt that keeps the hernia from protruding). Inguinal hernia rarely become strangulated, but are often symptomatic and will increase in size overtime. Surgical hernia repair is usually advisable, unless you have no symptoms or are unfit to undergo day surgery. Femoral hernia usually requires surgical repair as there is a higher risk of bowel obstruction or strangulation (trapped), than an inguinal hernia. Your surgeon will push the bulged organ back to its place and close or provide support to the weakened area of the abdominal cavity. Your surgeon may perform either an open or a laparoscopic surgery to repair groin hernia. These procedures will be performed under the effect of general anaesthesia. Local anaesthesia and medicines to help you relax may be administered for repairing a small hernia. Laparoscopic hernia repair is now the most common chosen type of hernia repair. The exceptions are for very large hernias or hernias in people taking blood thinning medications, in which case open surgery may be safer. During laparoscopy, your surgeon will make 3 small incisions on the abdominal wall. A laparoscope (thin tube with a lighted device and a camera on its end) is inserted through one of the incisions and special surgical instruments are placed in through the other incisions. The peritoneal sac is pushed back in place and muscles of the abdominal wall are repaired by using a specially designed mesh. During the procedure, a single 4 to 10 cm long incision (this scar will often not be seen while wearing underwear or swimwear) will be made over the bulge or in your lower abdomen and the bulge will be separated from the surrounding tissues. The part of your protruded peritoneal sac will be pushed back into the abdomen. The muscles of the weak abdominal wall may either be stitched (Herniorrhaphy) or a piece of mesh may be sutured (Hernioplasty) in place to repair the hernia. Bowel resection (removal of a part of the intestine) may be required during emergency hernia surgery, if the intestine is trapped and damaged inside the hernia. Your surgeon will remove the damaged bowel and re-join the ends of the healthy bowel.